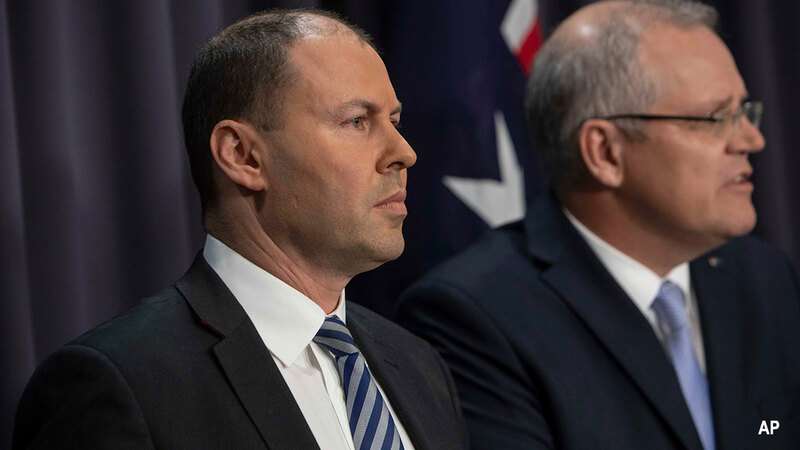 Josh Frydenberg's first and possibly last budget, and one that the coalition is pinning its thin election hopes on, may include several sweeteners for superannuation members, says an SMSF services provider. Mark Ellem, SuperConcepts’ executive manager of SMSF Technical Services predicts the budget may contain the restoration of certain caps and thresholds that had previously been reduced to help stabilise the government fiscal position. “While we don’t expect to see an increase in contribution caps across the board, it's possible we may see some targeted increases in the contribution caps for some taxpayers”, Ellem said. “For example, we may see a restoration of the $35,000 or possibly $50,000 concessional contributions cap for members over 50." Ellem also say the government may look to restore the co-contribution payment rate to 100 per cent with a maximum government co-contribution of $1,000. Since 2012/13, for eligible members, personal contributions have been matched by the government at the rate of 50 per cent up to a maximum government contribution of $500. “To assist low- and middle-income earners, the government may decide to restore the pre-2012/13 approach and match eligible personal contributions dollar for dollar up to a maximum co-contribution of $1,000”, Ellem said. Aside from these changes, SuperConcepts believes the government may also decide to remove the age and work test rules which were a feature of its original Super Reforms Package in 2016. The coalition government will hand down the first surplus budget in more than a decade on Tuesday, underpinned by strong iron ore prices. It will include billions for road projects and freight networks across regional Australia, along with a raft of other sweeteners such as cash payments for power bills. Finance Minister Mathias Cormann has all but confirmed the budget will also include extra personal income tax relief. Senator Cormann said the government was focused on letting workers keep more of their earnings while ensuring the total tax take did not rise above 23.9 per cent of GDP. "We've made the decisions in past budgets and budget updates in order to fulfil that commitment," he told ABC radio on Monday. "What Australians will see is that we will continue to fulfil that commitment that we've made." But the 2 April budget may not last long. Opposition Treasury spokesman Chris Bowen has promised another "mini-budget" somewhere between July and September if Labor - as widely expected - wins the May election. will in effect be the first budget of a Shorten Labor government," he told ABC's Insiders. AMP Capital's chief economist Shane Oliver says the budget's particulars are less significant with current polling tipping Labor to win the upcoming election. Prime Minister Scott Morrison is expected to call an election for May 11 or 18 within days of Tuesday's budget being handed down. Deloitte Access Economics is expecting a revenue windfall in the 2 April federal budget because iron ore prices have helped boost company profits and more Australians have been finding jobs. Deloitte says China's stimulus in the face of slowdown has propped up coal and iron ore prices. Meanwhile, a fatal dam collapse in Brazil in January put a curb on global supply, which led to an 18 per cent surge in prices.